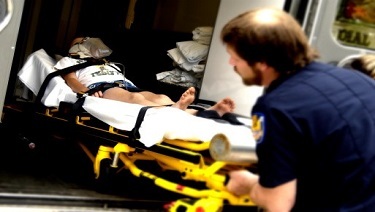 ​Emergency Medical Services (EMS) is a system of trained medical professionals who handle out-of-hospital emergencies. EMS is linked to a nationwide emergency phone number. In the United States, dial 911 to contact EMS. Note: In many areas of the United States, EMS can identify the location of a 911 emergency call using special technology. Mobile phone calls, however, cannot always be identified. Always be prepared to tell the EMS dispatcher your exact location. At home keep your street address posted by the telephone.